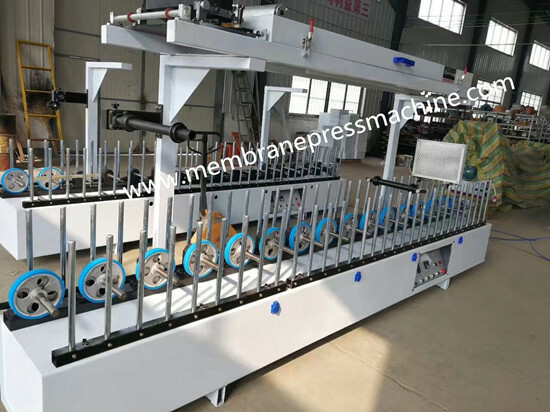 Through scale gluing, this Mdf profile wrapping machine works with oil-solution glue to paste PVC and melamine paper on various kick boards, set lines of doors and windows, and the railing of the stairs. 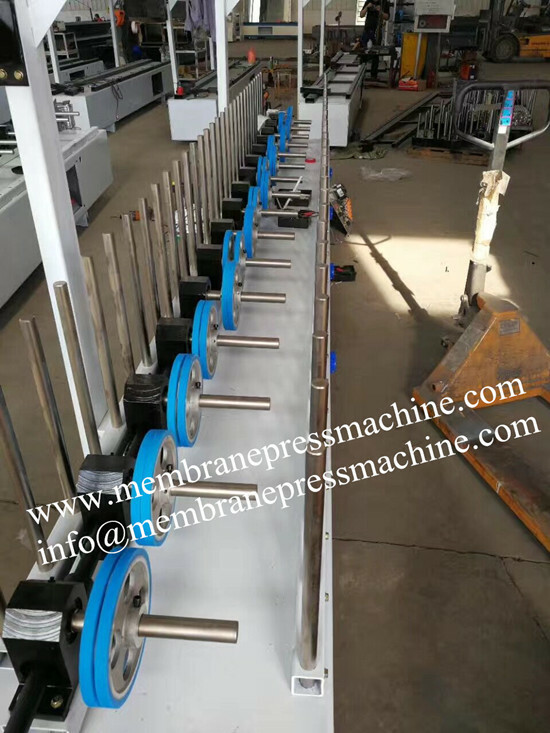 The wrapping of surface, sides and bottom are accomplished effectively in a single process. This machine is also fit for wrapping complicated lines and surfaces. 1. The glue is scaled on the surface of PVC. 2. The bottom wheels are all made by silicon rubber and aluminum. They are wearable and not sticky to the glue. 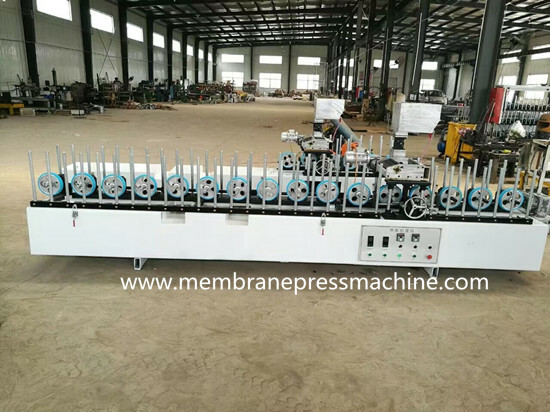 The profile wrapping machinery is suitable for construction,furniture,table ,window,,,door and decorative strips and relative factories. More detail information & tech ,please kindly contact with us .